Think about the last time you needed to find a document from 2 years ago; did you spend 30 minutes digging through a box of old files? Or maybe your maintenance team needs to come into the office to get work assignments each day, and if something comes up during the day, you have to fax or email them the work request. 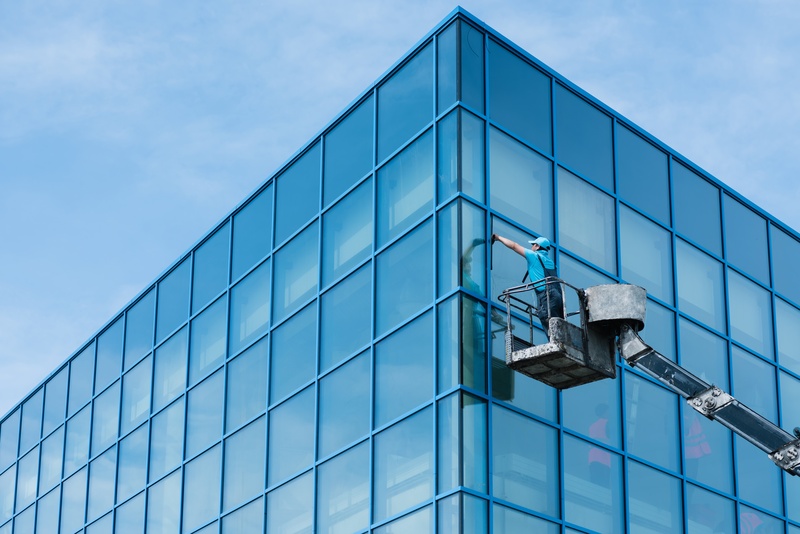 As a facilities or property manager, there’s a lot to manage everyday between maintenance work, leasing, and other operations tasks. When staff is spread out between buildings, units and the main office, you need to be able to communicate efficiently and make sure that the right work is getting done. Relying on paper forms instead of a digital process is wasting your time and resources. Paperwork is received 25% slower and has 50% more errors than mobile forms, meaning you have to spend time hunting down the information you need. Removing this dependance on paper can have huge benefits in terms of time and cost savings, while also improving efficiency. You can even see a 33% boost in productivity with paperless workflows. Here are other ways switching to a mobile forms solution can positively impact your daily operations. When you get a report from your team at the end of the day, you want to know in detail what they accomplished. You also want to know if any issues came up that will need to be addressed further. You may never even get the report because your team forgets to send it. You only get reports at the end of the week when they stop into the office to drop them off. Then if something had happened that needs to be addressed, you’re already a week behind in finding a solution. The report may be incomplete. You’ll have to spend time trying to find answers to the missing pieces, and run the risk of your team member not remembering all of the details. With paperwork, it’s difficult to attach supplementary information. For example, describing which part of a piece of equipment is broken or exactly where a leak is coming from is easier if you can use photos and a written description. A paper report has to be delivered and the photos taken off of the phone or whatever device was used to take them. The ability to fill out a report while on site as things are happening during the day ensures greater accuracy and thoroughness. When you receive these reports back sooner, you can also make decisions and plan ahead more accurately and effectively. Managing a property or group of properties comes with routine maintenance as well as requests from tenants. Communicating work requests with maintenance staff is important for getting the work done in a timely way and keeping tenants happy. A tenant calls or emails the office with an issue in their unit or space. Administrative staff will then record the maintenance request in your management system. A copy of the request is printed out and needs to be picked up by the maintenance tech (if they work onsite) or sent to them if they are at another location. If the request is urgent you might have to call the technician to let them know what’s going on. Once the work has been completed, the technician should send a copy of the request back to the office including their notes on what they did. Then the administrator can document the notes and close the work order in the database. It seems like a straightforward process, but relying on paper slows work down and delays response times, while also leaving room for issues to emerge. When sending maintenance work orders to an offsite location, you may not know when your staff has seen it. When the work order is returned to the office, especially if it’s been printed and scanned, then rescanned, or printed, faxed, and re-faxed, handwritten notes become difficult to read and may not completely explain what work was done. This process can be improved by using forms automation. With a mobile forms solution, dispatch a new work order directly to a maintenance tech’s mobile device, including details of the issue and the tenant or unit’s information right on the mobile form. Once the tech has completed the work, they can finish the form with the details right on their mobile device and instantly send it back to the office. Office staff won’t be left wondering if the work got done, and techs will have fewer calls from the office checking on progress to slow them down everyday. Along with managing any maintenance concerns that arise, maintaining a building requires regular updates and inspections to ensure that major systems and equipment are in good condition and functioning properly, helping you to avoid more costly repairs down the road. By using mobile forms to support your preventive maintenance program, you can track the repairs and inspections that are done and record that information for your records. This will make it easier to refer back to previous work if a larger problem comes up. You should support the documentation of your inspection with photos of the system or item that has been inspected or repaired. You can’t rely on memory for something like this. The more details and documentation that is provided the better. Creating a preventive maintenance checklist that can be completed for each system or piece of equipment ensures that nothing is missed or overlooked during your inspections. A preventive maintenance program will save money by including these planned repairs into your budget and schedule, avoiding the high costs of an emergency repair. When it comes to maintenance work, prioritizing the order in which work is done is important. It also allows managers to set timeline expectations with tenants, and also coordinate work with outside vendors as needed. There are few things more frustrating than having something broken in your home or office and not getting a clear answer for when someone will be coming to fix it. Knowing what work needs to be completed by staff each day is critical to helping managers stay on top of projects and avoid this kind of frustration and potential for conflict. Creating a weekly schedule is easier when you have a clear picture of the work that needs to be accomplished. When you have access to updated data, you can make better decisions and prioritize routine work accordingly if a maintenance issue pops up. With leasing, you can often be under a tight timeframe to get a unit ready prior to move-in or showings. Often, staff will need to work quickly and can sometimes forget to check something, especially during a busy season. Using a unit inspection checklist on a mobile device will ensure that nothing is missed. This also creates a record of the condition of the unit for your records prior to the occupancy of a new tenant. Having access to real-time progress updates during a space build out for a commercial tenant means that you can provide a more accurate timeline for completion, while also making sure your team and vendors stays on track to complete the work by the deadline. All of this work becomes easier to manage when you improve efficiency and get access to accurate data sooner. When you need to know the last time an inspection was completed or if a leak is new, or a recurring problem, you don’t want to have to dig through filing cabinets or boxes of old files looking for the paperwork. When the paperwork and forms are completed digitally to begin with by using mobile forms or digital forms, you save yourself from needing to re-enter that information into your database. Removing this duplicated data entry work can save an average of 10 administrative hours per week. A digital database makes organizing and storing data simpler and finding that data more efficient in the future. Ready for data you can rely on to help make the right decisions? Try mobile forms for facilities management for free.